Bruce Clay Australia has ramped up our SEO training schedule recently by adding one day SEO training courses to be held in Brisbane, Sydney and Melbourne. The world-renowned 3 day SEO training given by the master himself, Bruce Clay has also just taken place in Sydney with the usual numerous plaudits, and we thought it would be a great time to share our thoughts on why SEO training has such tremendous value in today’s business world. In fact, SEO has so much to offer to so many people that should I list all the employment roles that could benefit from SEO training, this piece would too long and somewhat mundane. So you have billions of searches taking place each month, with most people clicking on the first 3 listings within the search results and the majority of people not even looking at the second page of the search results. That seems like justification enough to implement SEO knowledge gleamed from training. But as they say in the infomercials, WAIT, THERE’S MORE! There are still a lot of rumours and stigmas attached to the concept of SEO out there, with fly-by-night operators taking many a small business owner to the cleaners by charging thousands of dollars for search engine submissions and delivering no improvements in rankings. As a result of this there is often negative connotations surrounding the concept of SEO. Constant link baiting attempts by some people in the online industry announcing that SEO does not deliver has not helped matters. I am a true believer that education is the key to demystifying what SEO is and how much it can help a business of any type or size. An SEO training course does just this; it can change the perception of SEO from within a business by creating evangelists who champion it from the inside. Once somebody knows the fundamentals of how search engine optimisation works and how much it can benefit any enterprise, they can share this knowledge and drive it internally. We know this not from conjecture or heresy, we know this from the numerous people who have attended the Bruce Clay Australia Training and have gone on the spread the gospel of SEO and drive the projects within their own organisations and generating tremendous ROI on web based projects. 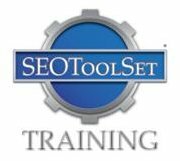 We attempt to get many clients we work with to attend some form of SEO training. Some cynics out there might believe that this is just to make a quick buck. The truth is somewhat more altruistic but, at the same time, self-serving for Bruce Clay Australia. We have found that search engine optimisation projects undertaken with clients who have had some form of SEO education proceed much more smoothly and with a greater level of ROI and productivity that those projects initiated with newbie’s to the organic search market. It can be slightly challenging to try to explain the benefits of utilising the canonical tag to avoid duplicate content penalties to somebody who has no idea what any of those things mean. That being said, it’s not impossible. One of the things you learn, as an SEO consultant is to make seemingly uber-complicated technical SEO concepts and terms seem almost easily understandable for even the most untechnical laymen. Many people classify SEO as common sense. This to some extent is true but so is writing music, penning a novel or playing poker. However, the people who excel in those disciplines put in countless hours of hard work. (Malcolm Gladwell, a sociologist, thinks that you need to put in 10,000 hours of work to become a famous expert in a chosen field). SEO training might not get your site right to the top of the rankings immediately, especially if you are in a highly competitive niche. But it can help you improve your rankings over time, enhance the usability of your site, drive qualified traffic to your site and get more conversions. For me, one of the most import elements of SEO training is that it lights a fire under most people to strive to be better at SEO by instilling an unquenchable thirst for knowledge and a great desire to be better than the rest. And that’s one of the cruxes of search engine optimisation–it’s one of the main reasons why I do it–the desire to be the best, and it all started with a little 45 minute SEO training course.